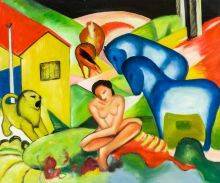 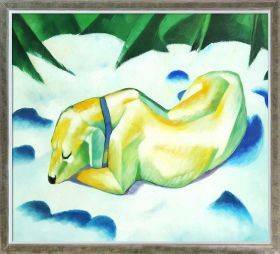 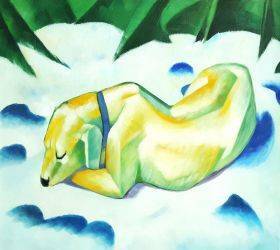 Add something bold and unexpected to your home or office with an exquisite, hand-painted reproduction of the most famous works of painter Franz Marc. 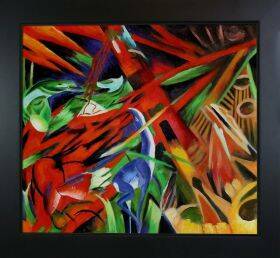 These elaborate oil paintings feature bright pops of color, eye-catching abstract designs and a thoughtful, stimulating feel that will give a plain room a bit of excitement. 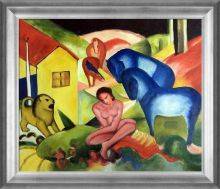 To encourage creativity or motivate you to be productive in a home office, Franz March oil paintings are the perfect addition to any art collection. 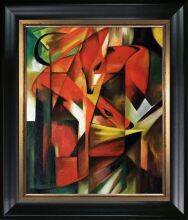 Add something bold and unexpected to your home or office with an exquisite, hand-painted reproduction of the most famous works of painter Franz Marc. 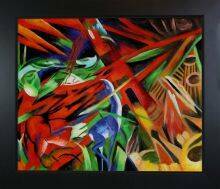 These elaborate oil paintings feature bright pops of color, eye-catching abstract designs and a thoughtful, stimulating feel that will give a plain room a bit of excitement. To encourage creativity or motivate you to be productive in a home office, Franz March oil paintings are the perfect addition to any art collection. 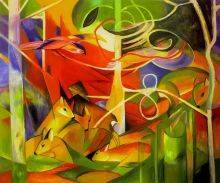 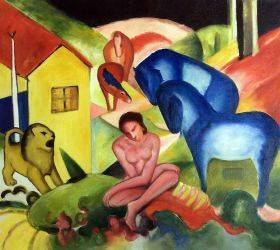 These reproductions of oil paintings by Franz Marc all use bold primary colors to represent emotions. 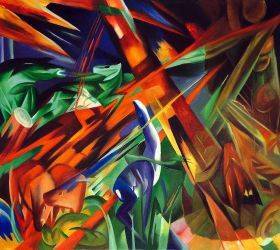 Many include swirls of color, abstract humans or animals, complex gears and machines, and even bursts of complicated shapes that almost appear to be moving. These pieces are not for the faint of heart, but are still quite beautiful in their unusual nature. 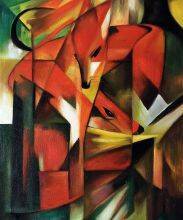 Each Franz Marc oil painting from overstockArt comes on high-quality canvas, in two choices of sizes from 24-inches by 20-inches to 24-inches by 36-inches. 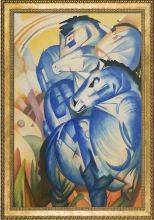 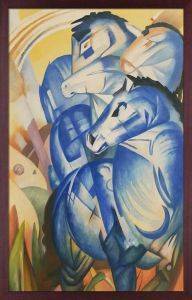 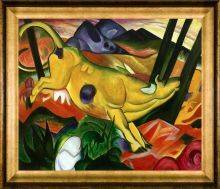 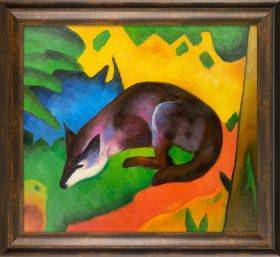 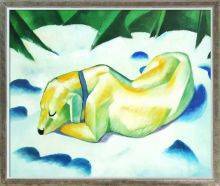 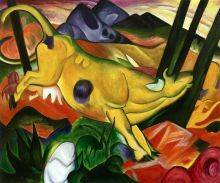 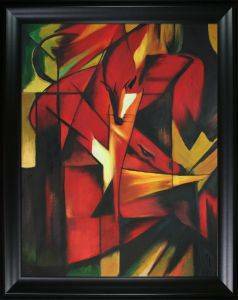 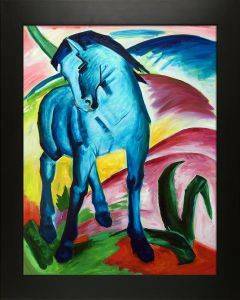 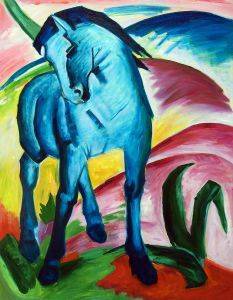 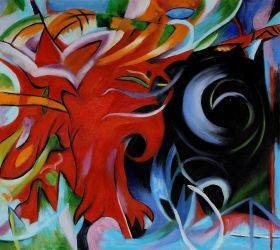 No matter the space or its size, there is a Franz Marc painting to fit your unique decorating or collecting needs. 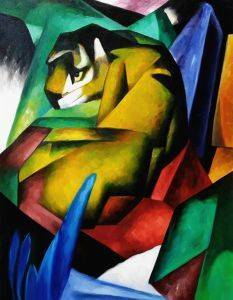 These paintings are flawless reproductions of Franz Marc’s original works, with each individual detail painstakingly recreated by hand using artist-grade oil paints. overstockArt also includes the option of framing your purchase, with a number of gorgeous frames to protect the painting. Choose from dozens of frame options, from plain solid woods to ornate, decorative metals and everything in between. 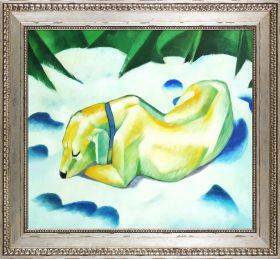 Frames add durability and protection, but they also enhance the details of your art collection, bringing out the finer details and enhancing the colors in a way that varies from frame to frame. 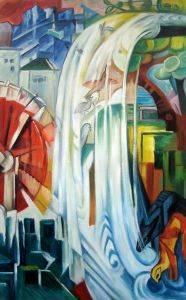 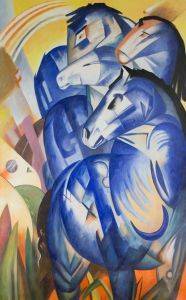 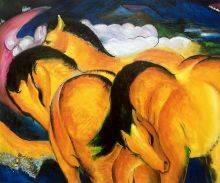 Franz Marc was a German painter and printmaker in the late 1800s and early 1900s. He was an important player in the German Expressionist movement, an avant-garde style that uses emotions to distort the reality of a scene, interpreting it through the artist’s feelings. 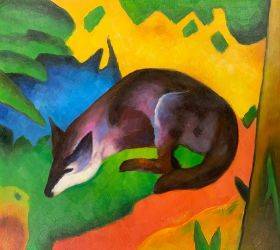 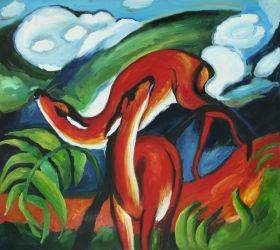 Franz Marc’s oil paintings very much exhibit all the traits of Expressionism, from their distorted shapes and creatures to their bold, overpowering use of color. 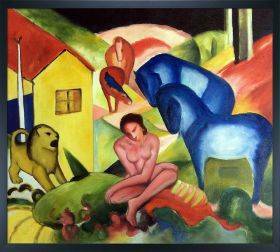 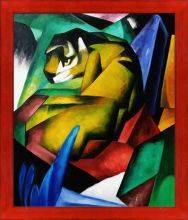 Though Franz Marc was killed in combat at an early age, his work lives on and is honored by art historians today. Franz Marc oil paintings now sell for millions of dollars, and having a flawless reproduction in your own collection is important for any art appreciator.